Swanstone SS-60-5-129 Five Piece Tub Wall kit, 30"x60" - Mountain Haze. 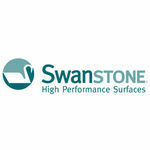 The SS-60-5-129 is a genuine product manufactured by The Swanstone Corporation and has a Mountain Haze color/finish. This particular product is a Five Piece Tub Wall Kit specifically for use with shower applications. The wall kit offers an easy installation that requires only glue to adhere to the existing surface and comes with (2) side panels, (3) back panel and (2) corner molding strips. Its center/middle back panel has two integrated soap shelves. There is no need for grout, and the shower walls will not mildew or mold. It coordinates great with other Swanstone shower and bath products. 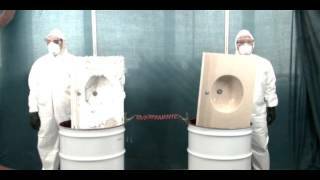 The panels are designed to fit bathtubs that are equal to or smaller than 30 inches deep by 60 inches wide. Wall dimensions are 30 inches deep by 60 inches wide with a 60 inch height. Shipping Dimensions 65.0" x 31.0" x 6.0"